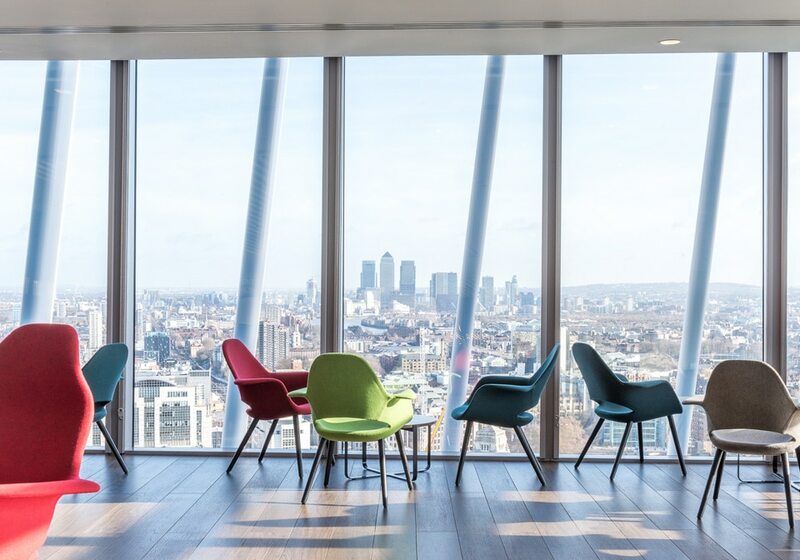 Hunters is an independent furniture consultancy, with high profile clients. Our brief was to modernise the site, moving it away from a black and white design with text-heavy areas. We designed and built a bespoke WordPress website and simplified content. 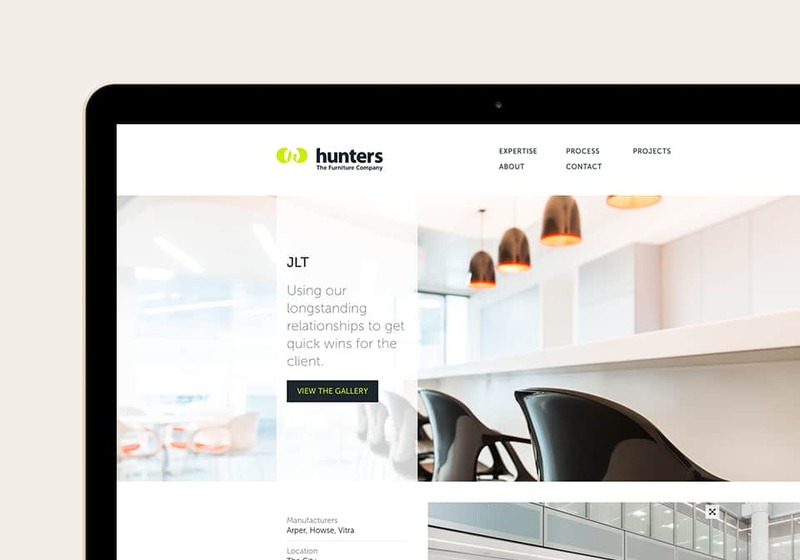 The refreshed Hunters brand is clean and considered with lots of white space and new web fonts. 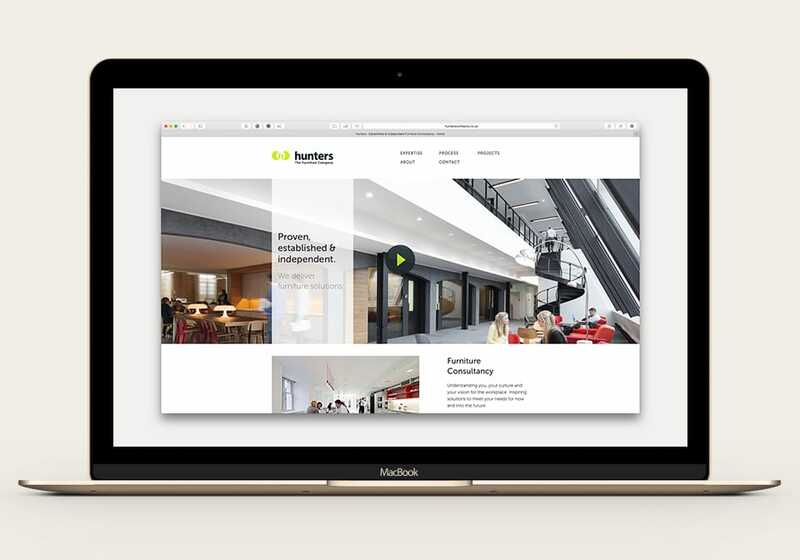 Hunters’ furniture solutions are beautifully designed and the website needed to reflected this. The new lightbox feature and carousel slider makes images stand out on all screen sizes; they never look blurry and load at the correct size. The magic starts in the case study section; the current image in the carousel animates into a full width photo viewer overlay with a caption. Users can touch and swipe, click and drag or click through the images, the text changes and projects are explained in stages, showcasing each beautifully. The final website creates an experience a lot like a native app on your phone, but in a website. 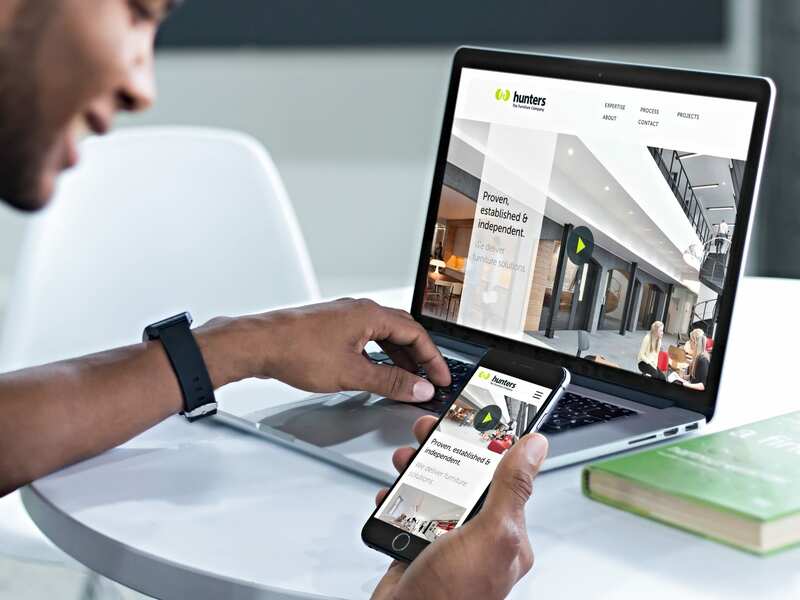 It showcases over 40 projects and captures Hunters’ furniture solutions process in a simple and eye-catching way. 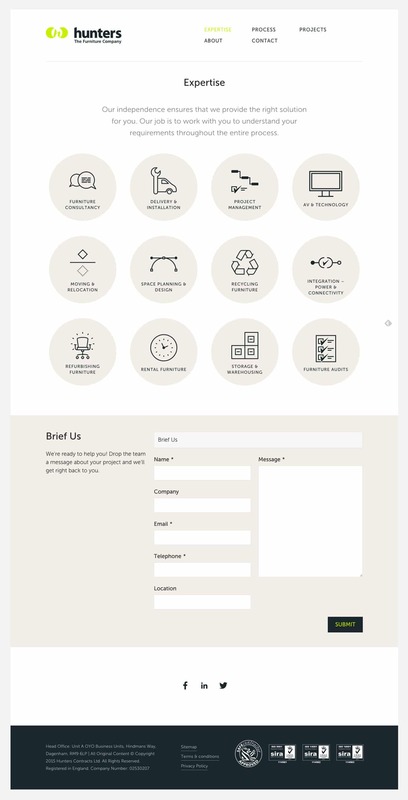 If your business is design-led and you’d like a website that reflect this, get in touch.